Google just made Gmail more relevant on its chief competitor's devices, as its official iOS app now includes a handy background refresh feature. This means the Gmail app can fetch mail even when it's not open. The new messages will be waiting for you as soon as you open the app, according to the release notes. The feature comes with some requirements. At least one type of notification needs to be enabled for background refresh to work properly, whether it's a badge, alert or banner notification. Apple hardware owners are also required to update to iOS 7 if they haven't already. This means the update is compatible with the iPhone 4 or later and iPad 2 or later. Today's update really levels the playing field between Google's app and Apple's native Mail app, which has always been able to fetch messages when closed. Gmail version 3 for iOS also simplifies the sign-in process. Signing into Google Maps, Drive or the Chrome browser enables a convenient single sign-in feature. 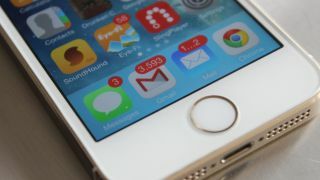 Now that checking Gmail messages and signing in is faster, iOS users may be tempted to take advantage of Google's app, even though it's from a third party. On top of everything else, it includes Gmail's exclusive colorful labels feature that the default Mail app doesn't incorporate.